Anne Ku remembers performing in Villa Maria in Houston, now up for sale for $5.7 million. 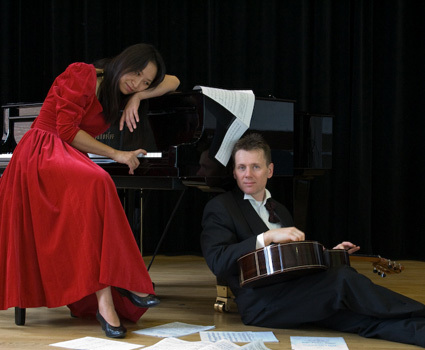 During our tightly packed 5-week concert tour from Boston to Maui (18 Oct – 25 Nov 2010), we did not have the time to write about every concert. Needless to say, this does not mean that we do not remember them! When my friend Grace e-mailed me that Villa Maria was up for sale, I discovered I hadn’t even mentioned this important concert that flew us into Houston, cutting short our stay in Phoenix! My friend Linda had pushed for us to perform in that mansion. I had no idea it was so grand, the occasion so elegant and completely out of this world. Houston was where house concerts started for me. In February 2001, I performed in a concert of improvised music. There were two Steinways, one from New York, the other from Hamburg, side by side. It was River Oaks. It was my first house concert. Who would have thought that I’d be back in Houston nearly 10 years later, actually giving concerts? I invited my friend Grace to the concert at Villa Maria. She probably thought every house concert was just like that — something out of a movie or ancient Rome. It was a guitar extravaganza — a program already full. But the organizers managed to squeeze us in – just 20 minutes which became 15 minutes – 2 pieces: Vivaldi’s Winter from Four Seasons and Manuel de Falla’s La Vida Breve. 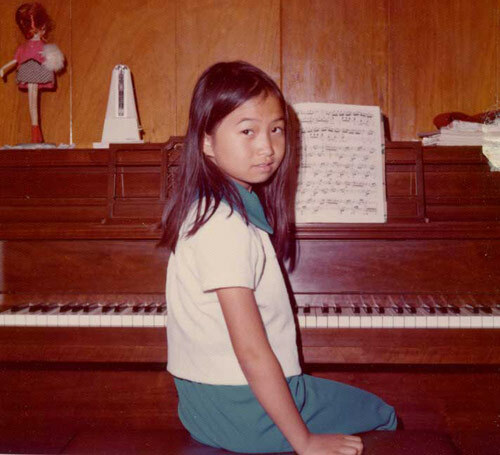 Anne Ku introduces Pachelbel’s famous Canon to beginners of piano. Johann Pachelbel’s most famous work is his Canon in D. George Winston played his version of it in the key of C. Why not? C is 2 sharps easier than D major. Is it possible to decompose it further? Simplify it so that even beginners can have fun with it? I recall a post-concert spontaneous “jam session” in Houston, Texas where Robert on his guitar and I on the piano played the chords of Pachelbel and the host improvised on his flute. It was such fun that I wanted to do it again. A canon, by definition, is a piece of music where one voice repeats the part of another, throughout the whole piece. 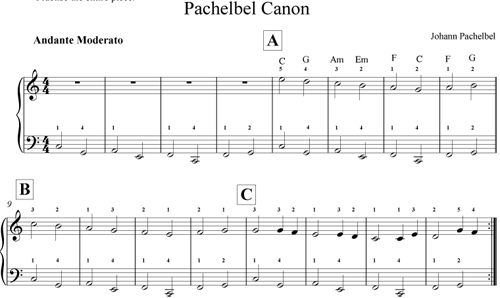 Pachelbel’s Canon is often subtitled with “basso ostinato” — a repetitive bass. Once you know the bass line and the sequence of chords, you can repeat it over and over again. In the above score, notice there are 4 parts. Four different players can play in sequence. The first begins. The second joins at the beginning when the first reaches rehearsal mark A. Similarly the third player joins at the beginning when the first reaches rehearsal mark B and the second reaches rehearsal mark A. And so on. Of course there is more development than these 16 bars, but at least beginners can play this. 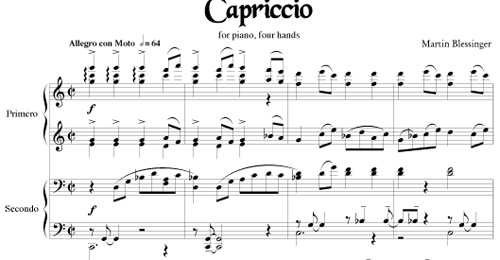 I googled “Pachelbel Canon and C” and discovered that others have arranged simple versions for solo piano in the key of C. And there are plenty of free sheet music on the Internet such as this one. What is in a name? 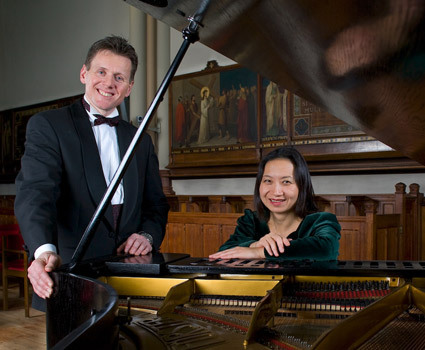 Home concert, house concert, salon concert, huisconcert, … does it make any difference if it’s established or not? How much can you charge and still get people to attend a concert in your home? 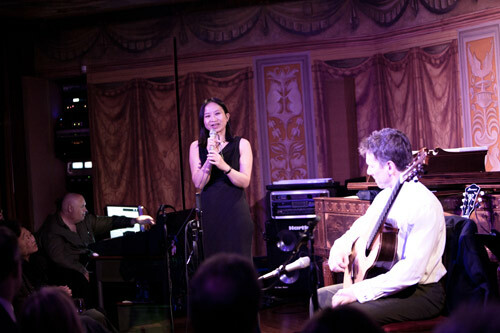 First I used “home concerts” for live foreground music that gets performed and heard in one’s home. In Dutch, home is “huis” — pronounced like house in English. When I moved to the Netherlands, I used “huisconcerten” or “house concerts” instead of “home concerts” to promote concerts in the home. In the USA, I noticed people using “salon concerts” — and decided to investigate this further. When I google “salon concerts” I get what looks like an established concert series called Salon Concerts. There is a link to a nice article called “Chamber music finds its modern home.” Scrolling down, I see that the ticket price begins at $40. I can’t charge my friends. I can’t expect people to pay more than $10. The economy is bad. People won’t come if we charge more than $10. Let’s make it free and ask people to donate. How much do we charge to make sure we get a full house? If we charge too much, we get empty seats. If we change the name of house concerts to salon concerts, create a professional website, get media attention, can we then charge more than $10 per person? Maybe then, it becomes affordable to run a concert series from the home. The pianist laments for her piano left behind. There are pianos to borrow, to rent, and to buy. But she longs for the piano she cannot have, not to perform but to practise with no one listening. How long can I stand not having a piano to practise on? There’s an upright piano (a spinet) at the community centre nearby where I can practise in the afternoons. The first time I tried the piano, it was out of tune. After it got tuned for our short concert, I tried it again. Several groups were playing mah jong. They didn’t mind and even applauded after Tchaikovsky’s Nutcracker Suite, the only sheet music I had that was remotely Christmassy. The mah jong players invited me to snack with them during the break and gave me Haiku tangerines. “Come back next week,” they said when I was leaving. A kind lady offered her Steinway grand in south Kihei. It’s at least a half-hour drive to her beautiful home. My sister told me of another place in Kihei with a grand piano that I’ve yet to visit. There are many churches nearby. I’m sure there are pianos I could use, but first I need to enquire. Still, I get tempted when I see a piano for sale. Perhaps I just want a piano in my home and not anywhere else. On Craigslist I spotted pianos for sale: an upright piano — a medium-brown-coloured spinet left behind when the house got sold. The new owners initially advertised it for $300 two weeks ago. Now they changed it to $250 or better offer. I imagine it sitting in the corner in my living room. I would wake up and play it to my heart’s content. The piano reminds me of the Yamaha console my father had bought brand new for our family. We all learned to play the piano. My mother told me that she took lessons with us because we were the first and only students of our Japanese piano teacher (at that time.) She stopped when our teacher recruited other students. Sadly my father sold the piano after we had grown up and left home. I guess I’m still pining for that piano. Buying a piano is not a trivial thing. In my article “Buying a piano: a decision maker’s guide,” I advised buyers to get a professional assessment (by a piano technician) before deciding. I did not add that there are costs of moving, tuning, advertising and selling when one leaves. Why buy a piano if you can rent one? In Houston, I rented a Baldwin upright on a monthly basis for 14 months. I did not have to find a mover or a tuner. One phone call and it arrived. Another phone call and it left. What a joy it was to play! What a joy it was to compose! 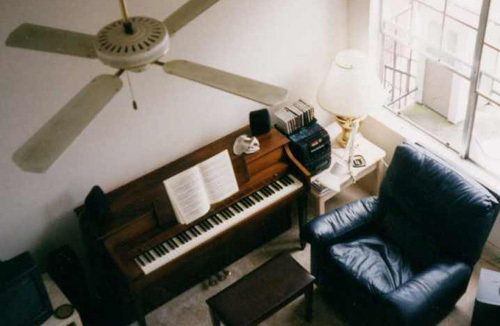 What I really want is not a piano in my home but access to a piano in a room (nearby) where I can practise without an audience. When I’m aware of the presence of someone else listening, my playing becomes a performance. What I really miss is being able to practise on a good instrument close by, whenever I want, and for as long as I want. The guitarist has no longing as such. His guitar is always a heart beat away, anywhere he goes.